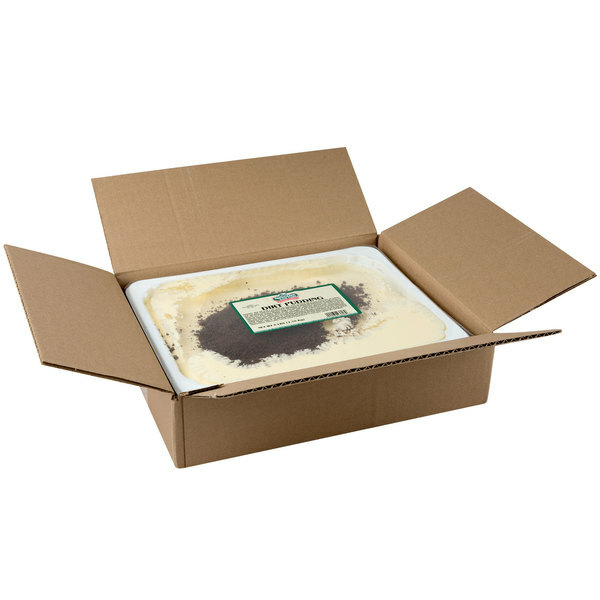 Bring a fresh, fun dessert to your establishment with this Spring Glen Fresh Foods 6 lb. dirt pudding. 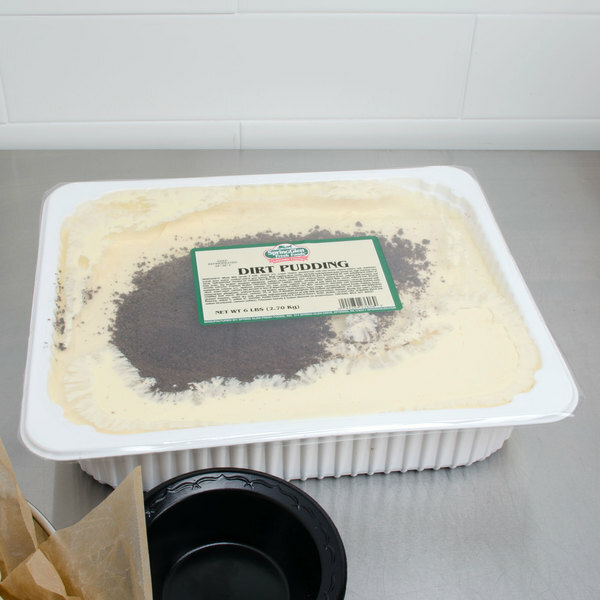 Featuring a rich blend of whole milk, cream cheese, and whipped topping, combined with premium crumbled chocolate sandwich cookies, confectioners sugar, and vanilla pudding, this dirt pudding is guaranteed to be a favorite among guests of all ages. 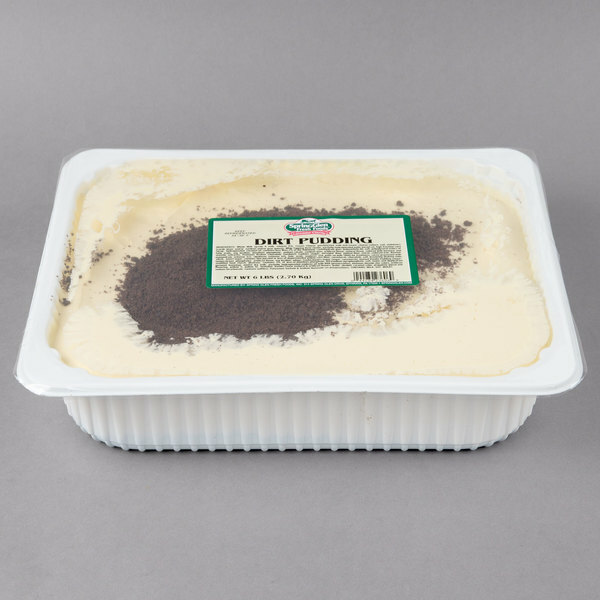 With this dirt pudding, you'll be able to offer your guests the taste they want, without spending hours preparing the pudding from scratch. 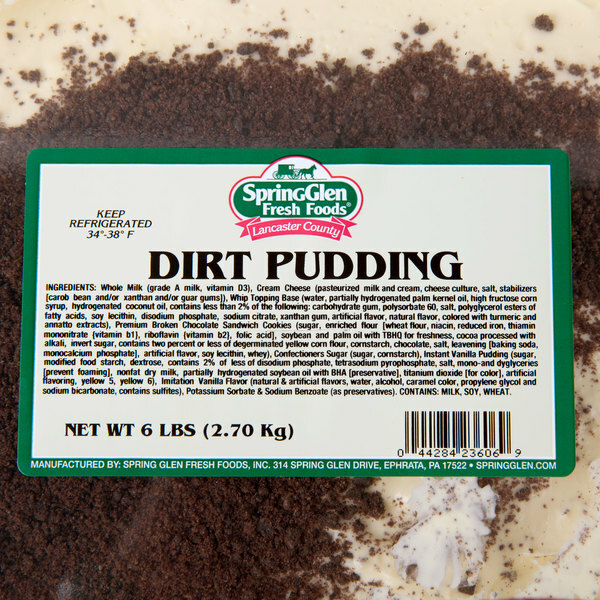 This dirt pudding is made with only the best ingredients for a quality product you can trust. The flavorful vanilla pudding contrasts with the bold chocolate crumbles, ensuring a decadent dessert your guests will love. Serve it at your deli, restaurant, buffet, or childcare center. 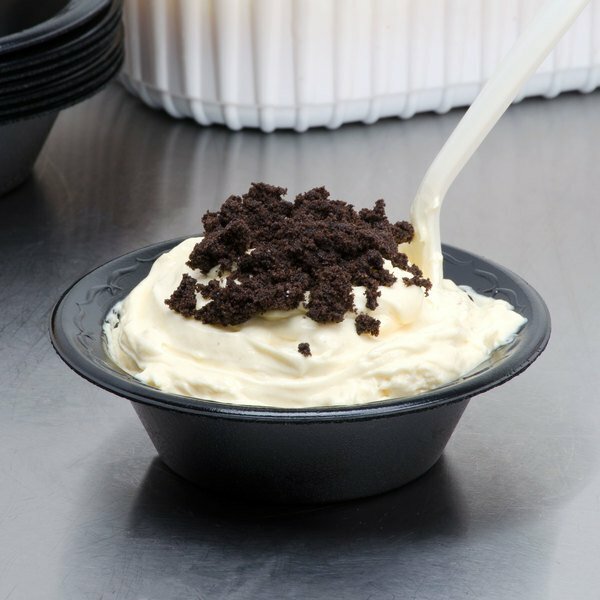 The dirt pudding is delicious and is a great creamy style dessert. Delicious and the ingredients are great quality. Love the packaging and great price.